Transport and energy infrastructure, science and education, external borders and neighbourhood – these are the priorities of EU's budget for the next seven-year financial period. 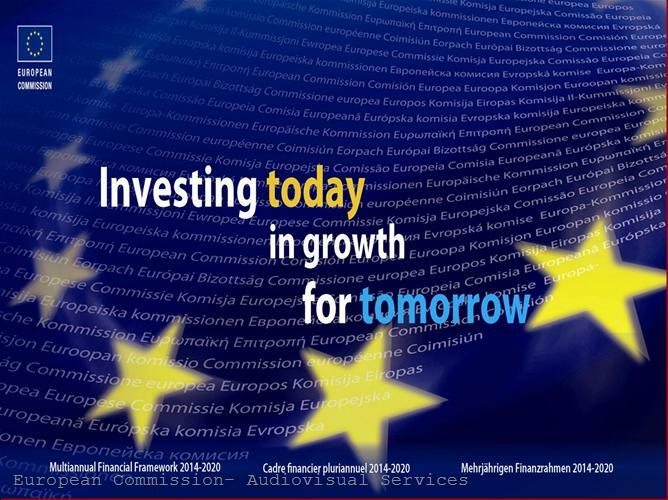 According to the Commission's proposal, the so called Multiannual Financial Framework (MFF) 2014-2020 amounts to 1.025 billion euros in commitments (1.05% of EU gross national income) and 972.2 billion euros in payments (1% of EU GNI). 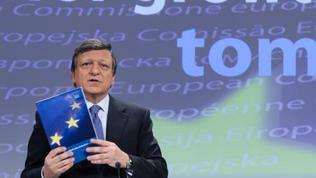 European Commission President Jose Manuel Barroso and Budget and Financial Programming Commissioner Janusz Lewandowski presented the proposal on Wednesday (June 29) evening after lengthy discussions in the Commission and, as explained by Mr Barroso - in the European Parliament. He hastened to announce that in response to the commitment made to Greece by the European Council last week, the Commission proposed a temporary increase of the co-financing rate by 5 to 10 percentage points, when a Member State is receiving financial assistance both in the euro area and outside. The aim is to reduce the rate of national co-financing and thus help the fiscal consolidation in these countries. 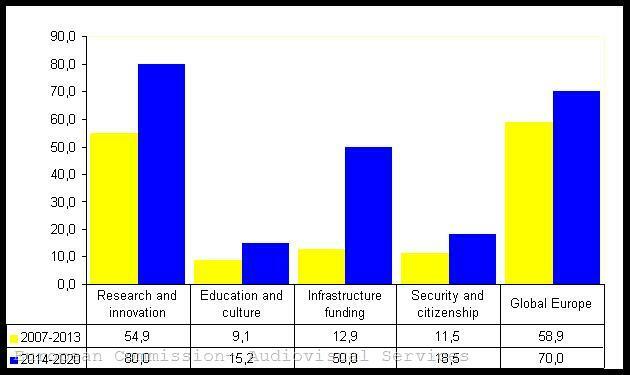 The key policy areas in EU's budget for the next 7 years are infrastructure, R&D, education and culture, security and global Europe. Infrastructure funds are increased by 287 percent, compared to the current MFF, to a total of 50 billion euros. The money for education and training has been increased by 68% (to 15.2 billion euros) and for research and innovation - 46% (to 80 billion euros). The funding, allocated for security, by 62% s increased the amount for security - 18.5 billion euros, aimed at protecting the external borders, asylum, migration, etc. EU external relations with Southern and Eastern neighbourhood will be padded with 70 billion euros, representing a 19 percent increase over the current budget. 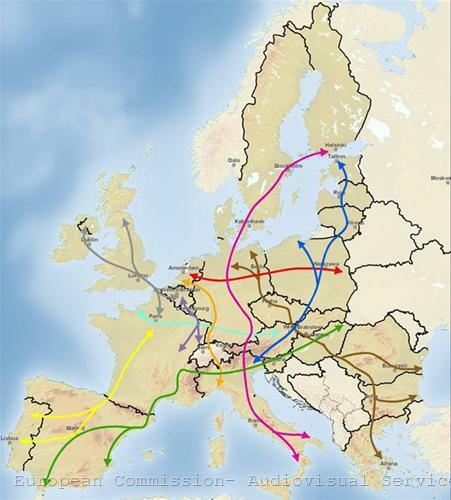 One of the novelties in the budget is the creation of a Connecting Europe Facility, aimed at increasing the benefits of pan-European infrastructure projects. 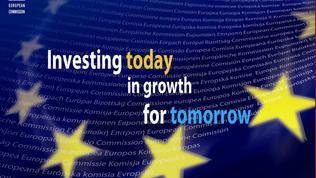 The Fund will have a capital of 40 billion euros and an additional 10 billion euros available from the Cohesion Fund. It will finance projects in transport, energy and information technologies. The Commission also proposes to create “project bonds” to finance infrastructure projects. The goal is to increase the credit rating of projects and thus attract additional funding. During the next seven years the cohesion policy will be clearly focused on poorer countries and regions. 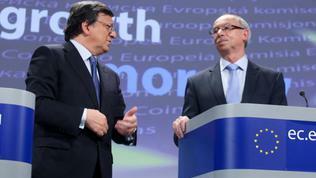 President Barroso repeatedly stressed the need for solidarity and support for the poorer and the new member states. 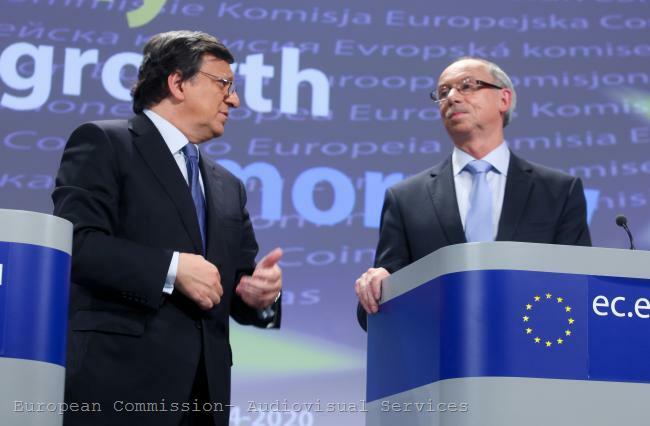 A total of 376 billion euros will be allocated for economic, social and territorial cohesion. In response to the proposal of the Regional Development Committee in the European Parliament, the Commission proposes the creation of a new category of regions eligible to receive EU funding – the so called transition regions, with a GDP per capita between 75 and 90% of EU average. As it is clearly seen from the figure, shown by Commissioner Janusz Lewandowski, the share of cohesion policy in EU budget will fade until 2020, together with that of the Common Agricultural Policy (CAP). The main changes in the CAP are related to the gradual reduction of differences between farm subsidies in different Member States, as well as the “greening” of the CAP: 30% of the money for farmers will be linked with environmental measures. As expected, the Commission proposes, from 2018 at the latest, to introduce real own sources of income in the European budget in the form of European VAT of a 1% rate and a Financial Transactions Tax (FFT). 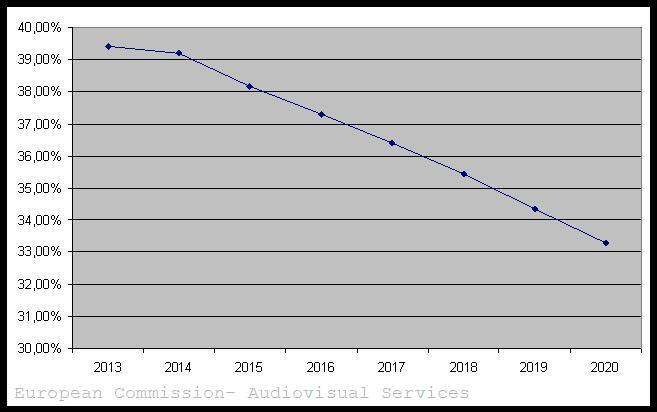 The FFT rate will be set in the legislative proposal of the Commission, expected in the autumn. 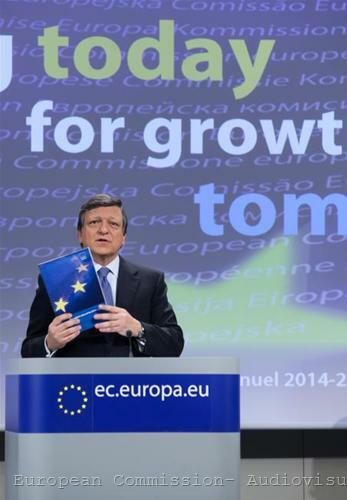 The aim is by 2020 the own resources to form 40 percent of the EU budget. 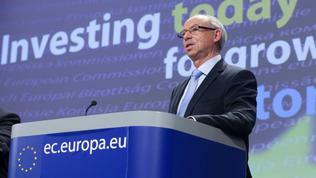 The arguments of the Commission to propose a new tax on financial sector are on the one hand practical (it will reduce the contributions of Member States in the common budget and will enable a centralised collection system), but on the other - quite populist: according to Eurobarometer, 61% of Europeans are in favour of FFT and the European Parliament insisted on its introduction. The Commission itself previously announced that it was more willing to explore the options for taxation of profits and wages in financial institutions. Apparently, however, it has changed its mind. President Barroso even explained that in fact, Member States were not against a FFT, on the contrary, they even supported it, provided, however, it was introduced globally. This is not likely to happen, although the EU is actively advocating a global FFT in the G20. The next president of the ECB, Mario Draghi, also spoke against the introduction of FFT during his hearing in the European Parliament. According to him, the introduction of this tax does not solve the main problem of the financial system – the moral hazard. FFT is aimed at speculative behaviour, but are we sure what is speculative and what is not, Mr Draghi asked the MEPs. He said there was also a risk the higher cost of transactions to reduce liquidity, which would increase speculations. As the Commission president pointed out, so far ten member states have already introduced various mechanisms for taxing financial transactions and a common approach was needed in order not to jeopardise the internal market for financial services. This question will probably be one of the most controversial ones during the negotiations between the European Parliament and the Council (member states). A group of countries, including Bulgaria, have already announced that they have strongly opposed the introduction of new taxes on the financial sector. 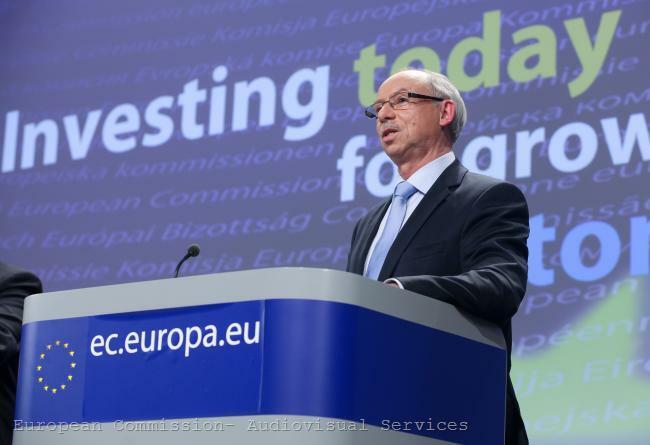 The European Commission proposes to simplify the existing system of rebates and corrections, which is too complicated and is not sufficiently transparent, and replacing it with a system of fixed annual lump sums for the entire seven-year period. At this stage four countries pay in EU budget more than they receive. Under the new system, the UK will get a reduction of 3.6 billion euros, Germany - 2.5 billion euros, the Netherlands -1.05 billion euros and Sweden - 350 million euros. As for net recipients of funds from EU's budget, Commissioner Lewandowski answered a journalist's question as follows: “I am probably not disclosing a big mystery when I say that the countries with the biggest net transfers per GNI are the poorest countries. Lithuania, Latvia, Estonia and Bulgaria are the big winners”. President Barroso described the budget as reasonable and innovative, and warned member states, before rejecting it, to at least read it. Mr Barroso urged to avoid Pavlovian reactions, given the expected criticism from some Member States, insisting on freezing the EU budget for 2020. In fact, contrary to what people say it’s completely false that member states in general are reducing the budgets, he noted. 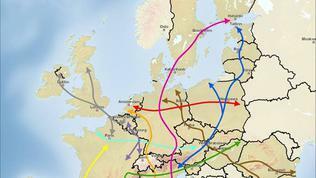 “The budgets in Europe have been growing in a very constant pace, we can give you all data about it. It’s true that increase today is smaller than before but in fact if you look at the overall level of expenditure of our member states, you will find that they are growing …also because the receipts are growing”. Parliament, however, is satisfied. “I am glad to see that the Commission's proposals reflect the main priorities of the European Parliament: spend better where Europe is necessary to save money elsewhere. And above all, finding new, modern and European sources of income so that the national contributions can be lowered”, the chairman of the Budget Committee, Alain Lamassoure (EPP, France), reacted. 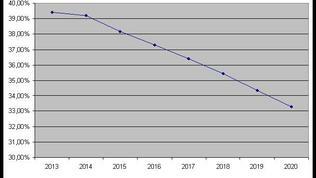 Negotiations on the next multiannual budget will continue over a year and are expected to end with an agreement in December 2012, so the MFF 2014-2020 can be finally adopted in 2013.